Has starring in “Contagion” as a dad desperate to keep his daughter safe from a deadly outbreak of disease Matt Damon a more protective parent? Nope. He was already that way to begin with. Perhaps because of his inherent parental vigilance, Damon says he found it easy to plug into the mindset necessary for “Contagion. “I thought a lot was kind of easy to relate to,” he says, adding that he was also eager to reteam with Steven Soderbergh, who directed Damon in the “Ocean’s Eleven” films and “The Informant,” and screenwriter Scott Z. Burns, who penned the latter movie. And he found out a lot about the more tragic side of the outbreak scenario when a family member take a medical downturn. 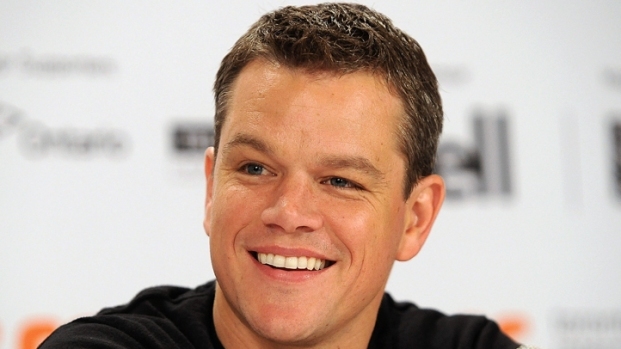 Matt Damon chats about his new action-thriller, "Contagion." What did Matt enjoy the most about working with Gwyneth Paltrow?